Little by little, I have been shedding weight. It was not a dramatic overnight change, but rather a healthy yearlong transformation. I would like to say exercise and a balanced diet were the reasons, but there is more to it. I suppose you could say the additional weight was a literal and metaphorical burden that I left in the United States. A more scientific approach would say that my portion sizes have shrunk and the street, hawker and restaurant food is generally (and surprisingly) healthy and fresh with few or no preservatives. Before I address my weight loss, I first have to answer how I got to be overweight. 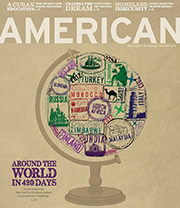 In June 2012, just as Tara and I left the U.S., my weight hovered around 200 pounds, but I was not always this heavy. In high school, I had reached my current height of 5 feet 11 inches, but was a slender 135 pounds. Running track and playing soccer kept me slim, but this was also years before I knew what a pilsner or porter beer was. I maintained this weight throughout high school, and it only slightly increased during my first two years of college. During my junior and senior years, I studied film in the Czech Republic. Over that time I gained roughly 50 pounds. Although I walked religiously, my beer intake and diet veered into territory that could only be described as heart attack inducing. Czech cuisine is designed to put meat on your bones, and that is exactly what it did to me. Very quickly, my clothes were fitting snugly, which was in the height of my baggy clothes phase. Translation: I was getting chubby without realizing it. Somehow, because I did not need to buy new clothes, I was in denial for how much weight I had put on. A constant consumption of high-fat, high-cholesterol foods fueled my rapid weight gain. A year and a half into my stay, a classmate made a crack about me looking pregnant. It was only then that I accepted reality and began to cut back on drinking and consuming double and triple portions. Okay, maybe double and triple portions are an exaggeration, but not by much. 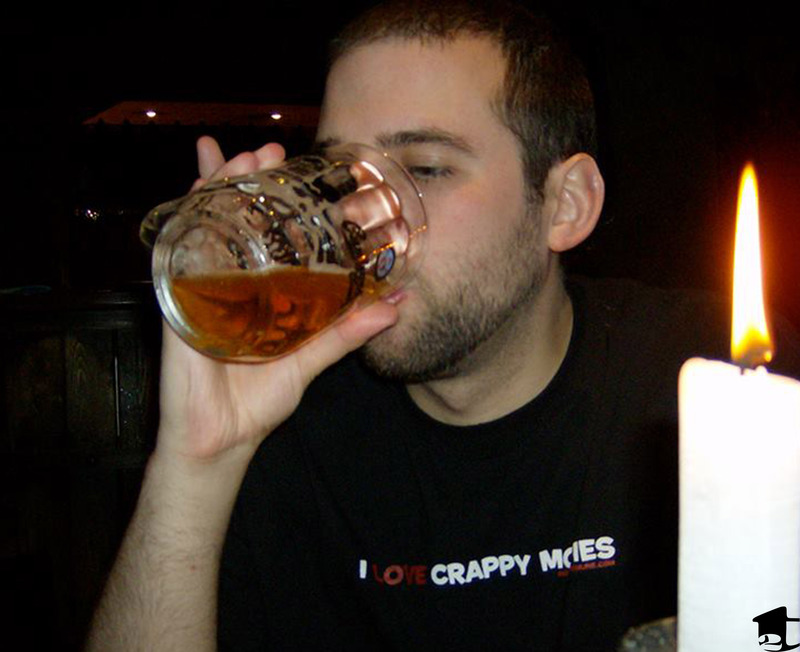 Day and night binge drinking were common, as a liter of the best beer on earth went for 50¢ in Prague’s bars. A bottle of vodka could be purchased for around $2. I had begun to wallow in excess and simply was unable to break out of this culture until I moved back to the States in 2003. Shortly after returning to America, I worked a casino in Las Vegas, NV and our lunch breaks were provided in the hotel’s cafeteria. Looking back at the huge trays of fatty foods I would pile on, it is a wonder I never gained more weight than I did. Over the next 10 years, I was able to shed some pounds, but somehow never got myself back to an acceptable weight. A few years ago, Tara and I made a decision to become pescatarians (vegetarians who eat seafood). Occasionally, I would exercise. My lack of commitment prevented me from creating a routine that I would stick to. I would jog maybe once every two weeks, feel good about it, but it really was just a drop in the bucket. Our diet, although it cut out meat, relied on self-control. Sadly, this was something I lacked. Since we cooked nearly every meal for ourselves, we had control over our portion sizes, but they were still obscenely large. Tara was exercising hard every day, but every night she went plate for plate with me. Our portion size would often be equal. Somehow, despite my lack of working out, I felt I should have been magically losing weight. Tara is only a couple inches over 5 feet and weighs around 100 pounds, so I could not understand how she could eat the same amount as me and not gain weight. 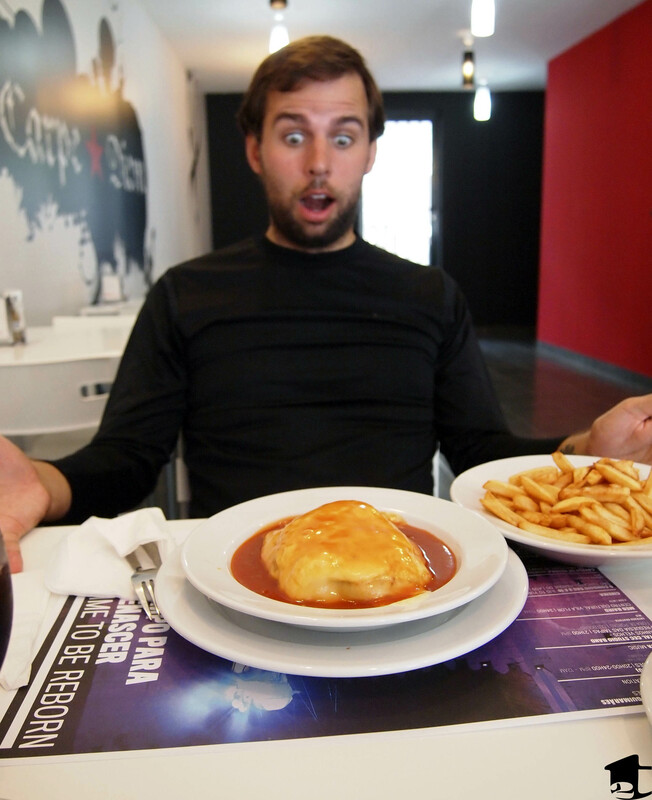 About to eat a “Francesinha” (translation: little french girl) in Portugal. Curry dishes with two full cans of coconut milk were common weekly staples of our diet. We would have homemade pasta sauce with red wine poured in for good measure, but because we used whole-wheat pasta, it gave the illusion of being healthy. Then there was cheese in pasta, cheese on pizza, and grated cheese on anything. On weekends, after late nights with friends, we would order pizza or chow down at whichever late-night eatery was still open. We were not always being smart with our eating habits. If you toss in the stress of planning our wedding and this trip, my body was not in a good place. 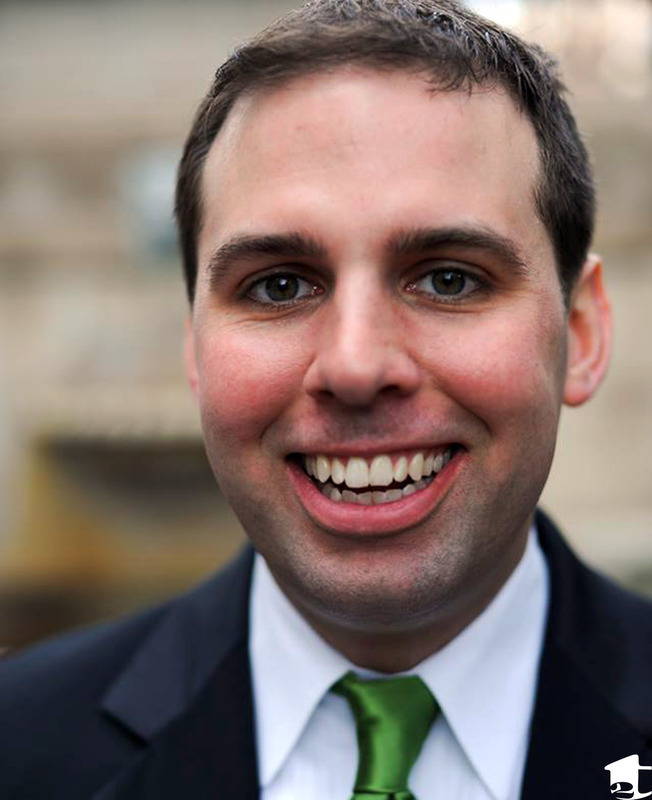 When we left the U.S. in June 2012, I hovered around 200 pounds. My body mostly concealed the weight well. My face was round, but I did not always have a telltale beer belly, unless I had a long night of eating and drinking. So how did all of this change? The easiest way to describe what happened is to say everything. As I mentioned, the stress of quitting my job coupled with preparing to leave life as we knew it had eroded any desire to exercise. During the months leading up to our departure, I can count the number of times I exercised on one hand. When we reached Iceland, the weather was cold and we ran only a few times. The same with Finland and Russia (Tara did run without me a few times in Finland). It was not until Turkey that the temperature started to heat up (and by heat up, I mean bake). Most days clocked in at more than 100°F. Because it was so hot, whenever we were near an ocean, lake or pool, I jumped in to swim. Truth be told, I absolutely despise running as a form of exercise. I tolerate it, especially on this trip, because that is Tara’s go-to way to stay fit. The idea of her being alone while jogging in a foreign country is enough for me to dust off my running shoes and join her. On a side note: Tara is a certified fitness instructor (who used to run in half-marathons), so when it came to me getting back in the grove of running she was patient and tempered her speed and length of runs to accommodate my abilities. The only constant is time when its come to our jogs. Terrain, elevation and road conditions are out of our control, so we try to go for 20 minutes (which has now increased to 25 minutes at a quicker pace). This seems to be a solid time for both of us. Sometimes we have skipped running due to pollution, safety concerns or illness, but overall we try to fit it in during our evenings as often as we can. 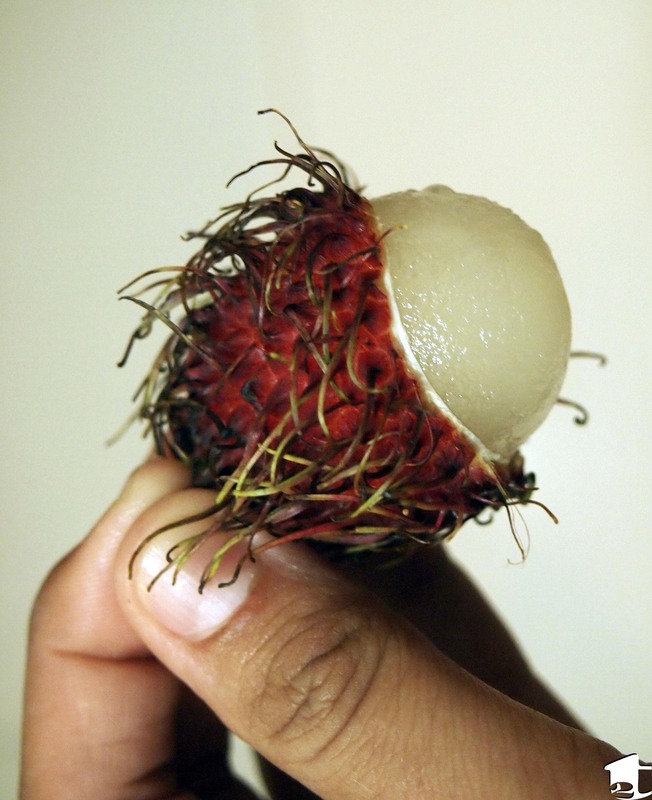 About to eat a rambutan. While exercise has been directly proportionate to me losing weight (and Tara maintaining her svelte figure), our new diet has been equally important in changing my body. Fresh fruit, vegetables and soups have replaced fried, heavy meals that used to dominate what we ate. The amount of processed foods has dwindled and high fructose corn syrup has been completely removed from our diet. Not only have we begun to eat fresher foods that taste better, our portions have adapted to smaller, international standards. This is not to say that this happened overnight. When we were on our overland tour of Africa, we ate every meal like it was our last. For nearly 40 days, we ate meals that were served buffet-style, and filling your plate just seemed like the status quo. Once we hit India, things began to change. However, we could still find “all-you-can-eat” options, like thali, which is served in a way that you never feel like you are overeating. Thali is a simple Indian meal, usually eaten for lunch, that varies by region, but is made of generally six different tiny portions that you eat with rice and a type of bread (chapatti, roti, etc.). In the south of India, eating with your right hand is the norm. Eating in this way slows you down, and I found that despite being able to get “refills,” I did not go overboard. By the time we hit Southeast Asia, my portion sizes shrank further and a new development had occurred. The introduction of chopsticks as our utensils significantly aids in controlling portion sizes (the tiny bowls you eat from help too). Instead of ladling huge spoonfuls into my mouth, chopsticks have forced me to slow down and consume smaller bites. Suddenly, my stomach has time to keep pace with the speed of eating. Instead of ordering an appetizer, entree and dessert, we skip straight to the main. If it does turn out that the portion is too small (and this does happen), we can always order more, but the need to over order, and therefore overeat, has been diminished. 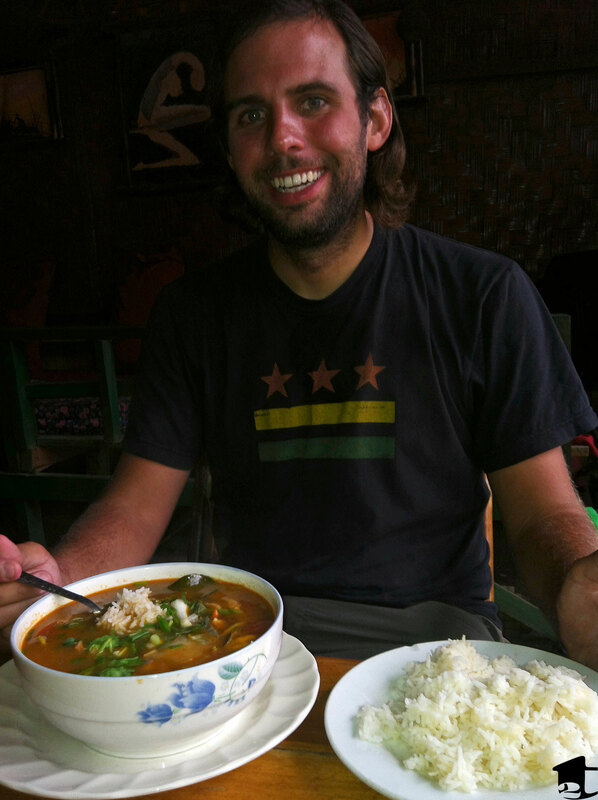 Healthy eating in Laos: soup with rice. Not only are we ordering less, we have found ourselves ordering more soups in Southeast Asia. Noodle soups come out in mammoth, caldron-like bowls. Often we will just choose veggie noodle soups, but sometimes get seafood soups, too. These soups are extremely filling and almost always the cheapest choice on the menu. The only crapshoot when it comes to getting soup is whether the broth contains meat or MSG (the people of Cambodia, Laos and Vietnam absolutely love putting copious amounts of it in every dish). If it is loaded with MSG, we can tell almost instantly because we get drowsy and lethargic. Even so, ordering only a bowl of soup seems almost ridiculous when I think of what it used to take to fill me up a year ago. I am not advocating traveling to another country to lose weight; I only need to look at the portion size and amount of processed and unhealthy food I used to consume. This scares me a little about returning to the U.S. Will I be able to maintain my current diet and exercise regime? After seeing how my body has changed, how it has improved for the better, I hope I can. This entry was posted in Points of View and tagged advice, backpacking, challenge, cooking, culture shock, diet, eating, eating healthy, eating unhealthy, exercise, exercising while traveling, foods, gaining weight, health, healthy living, inspiration, long-term travel, losing weight, motivation, narratives, new chapters, rtw, thoughts, tips, travel. Bookmark the permalink. This is an awesome post! I’ve talked to lots of travelers, and heard the common “Guys lose weight traveling, girls gain weight” rule that people refer to. I appreciate the way you really went into the matter, and the way you describe the change of portions, activity level, and fresh food as factors. I’ve been a bit concerned about leaving Canada for Asia in 6 weeks, as I’m a very fit, small girl. The way you discuss things though, it sounds like it’s entirely possible to eat fairly healthy and stay active while backpacking. Thanks Kate. I would say, as long as you keep a routine (not overeating and exercise), you should be okay. Just moderate your bia hơi intake in Vietnam. Wow Mike, 35lbs is amazing! I’ve got the same concerns as you about returning home and piling on pounds but I think portion control and a great quota of vegetables is key. Oh and that pesky exercise malarky 😉 Congrats on losing the weight. I have just discovered your blog and found myself laughing out loud at this brilliant and very honest post regarding travel exercise, particularly the thought of Tara running by herself being the main motivator in certain places. Still being in the Africa phase of our own RTW travels, I am looking forward to the ‘slimming’ aspects of Asia in the coming weeks. Look forward to reading more commentaries on life from you both! Thank you for your kind words. Building routines into our travel schedule allowed me to bring those good exercise habits back home. Learning healthy cuisines along the way was also such a big part of me keeping the weight off. Dairy used to be a larger portion of our diet and is now all but completely cut out. I think it’s a matter of finding what works for your body (we chose to be pescatarians, but hardly think everyone else needs to do the same), what techniques are sustainable for you, and ultimately what makes you happy. Enjoy the plentiful wildlife around you while you can in Africa, we found it be nonexistent in most of Asia.